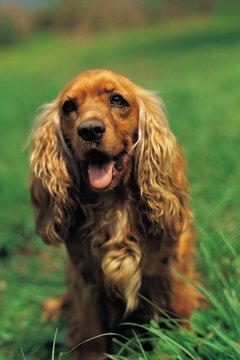 Dog breeds with long hair often get extremely matted fur that turns into dreadlocks when they are not brushed regularly. It is important to remove dreadlocks and matting from your dog's fur as quickly as possible to keep your pet comfortable and to reduce the risk of skin infections. After you get the dreadlocks out of your dog's fur, brush it daily to prevent future dreadlocks. You should never use scissors to remove dreadlocks or mats because you may inadvertently cut your dog's skin while carrying out this procedure. Push all of the fur surrounding the dreadlock down to clearly separate it from the rest of the fur. Pull the dreadlock up lightly to lift it away from your dog's skin. Turn the clippers on and cut through the bottom of the dreadlock to safely remove it. If you are unable to brush your dog regularly, you should take your dog to a groomer in your area on a regular basis to prevent further matting and dreadlocks.